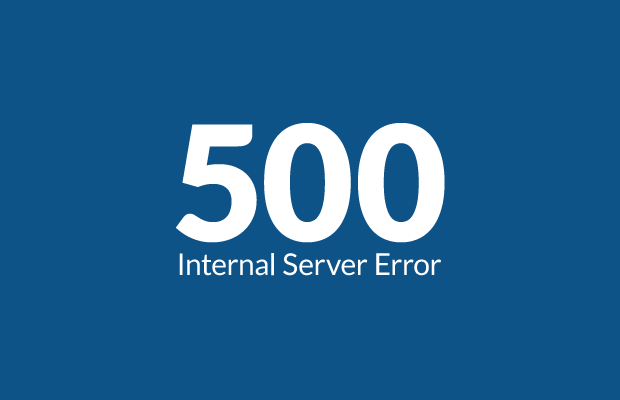 WordPress sites can also run into several types of errors and one of the more common and tiresome error is the 500 Internal Server Error. These errors when not fixed for days can deplete the traffic of the website and lose the audience the site has built up. It is important to understand why this error occurs and how to prevent it before knowing how to fix it. The Internal Server error occurs when you request a specific webpage from the web server and the server is unable to do so. This happens because of a server-side issue that is failing to load up the page from the server or because of an issue in the file system that is powering the site. The files are essentially in the root directory since that is where the WordPress files are and any issue regarding those files would become a server issue as well. There are quite several techniques to consider when this error occurs, and it is also important to keep in mind that it might not be fixed immediately and there might be several hours’ worth of troubleshooting to do. However, before attempting to troubleshoot the server, be sure to back up the WordPress data on your server just in case you make a mistake and things go sideways. Backing up data should be a regular practice either way so keep that in mind. Before troubleshooting any error, it is important to identify the exact cause of it. Here are notably two causes for the internal server error, a corrupt .htaccess file, and PHP memory limit. Now to explain how to fix them. The .htaccess is a distributed configuration file that is used to manage configuration changes in each directory of your website within Apache. The .htaccess file could go corrupt due to the mishandling of a theme installing or a plugin installation. The installation ends up having to change components within the .htaccess file and when the installed theme or plugin is broken or if the installation itself had some issues then the configuration settings within the .htaccess file changes inconsistently resulting in the server error. To resolve this issue, first, you must connect your WordPress website to an FTP client. I would recommend FileZilla. Once you log into your client and connect to your WordPress website you will be able to access the root directory of your website. You will be able to find the .htaccess file among other folders like wp-admin, wp-content, and wp-includes. After locating the .htaccess file, download it to your local drive on your PC. Now open it using a text editor. Go to https://codex.wordpress.org/htaccess on your browser and find the code for the .htaccess file that best resembles your WordPress website version. Copy-paste that onto your previously opened text editor. Save the file and upload it to the live server using your FTP client. Reload your website and see if your error is gone. If it is, you fixed the .htaccess file. If it is still there, then we move onto the next possible cause. When a client types in your website URL and makes a request to access your page, the PHP in the server side handles the processing of that request allows the HTML to render for the user. PHP memory is allocated to process these requests. When the memory limit is reached, WordPress automatically attempts to raise the memory limit, but it cannot go past what the host has set for the server. Once the memory limit is reached, the internal server error will start to plague your website and the only way to fix it is to increase the memory limit. Save the file and then upload this to the root directory. Now refresh your FTP client and then your website. Now even if the problem is fixed it does not mean the source of the issue taken out. In fact, the increasing of the memory limit is just a temporary fix and it is important to know what is causing the memory to be exceeded. A few suggestions to follow to figure out what the issue might be. Deactivate plugins individually to check for any broken or damaged plugin. Diagnose errors by debugging the site. Upload new wp-content and wp-includes folders to your root directory through the FTP client. Figure out if your files and folders have the right permissions. Ask your host if the issue is from the host server that is powering the site. 1) Make sure you backup your site regularly to keep track of what’s going on and what changes might be the cause of the issue. 2) Update plugins, themes, and core WordPress files the moment they are available. 3) Ask the developers of the theme you are using if it is compatible with the plugins you are running on the site. 4) Make sure you are choosing the right hosting package. With the increase in traffic and demand, smaller hosting servers and packages will likely be unable to hold your website much reliably so do find the right option for you. It is frustrating and time-consuming to identify and troubleshoot the 500 Error on a WordPress Website, but I hope these methods and practices will help you fix the problem and help you avoid it in the future.